This week, Bangor University student Reid Piggott was selected to tour with the Great Britain Universities Handball team. 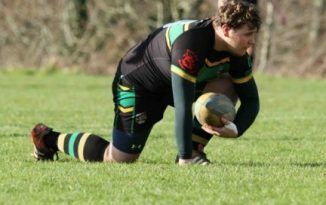 Reid, who is studying Music Technology and Electronic Engineering, was one of 14 players selected for the tour to the Netherlands after impressing at a trials weekend in Warrington. 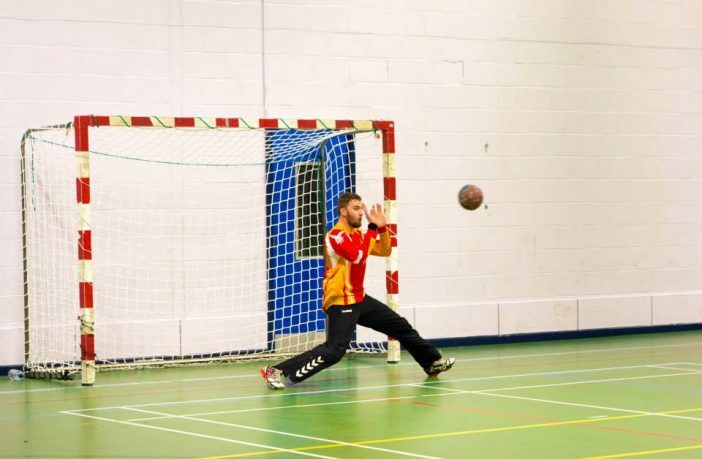 Reid, who plays as a goalkeeper, first started playing handball two and a half years ago, when he began university. In that time, he has progressed quickly from the second team into the first team. At the end of his first year at Bangor, Reid was in the team that won the Glyndwr University regional tournament. 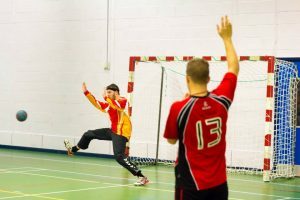 Spurred on by this victory, the men’s first team finished 8th in the UK at national competition in his second year, and won a regional tournament hosted by Liverpool John Moores University in October this year. Reid, along with four other Bangor University players (Aaron John, Michael Gregson, Sam Little, and Scott Willey), was scouted for the GB university trials at a qualifying event for a national tournament. The five players attended trials spread over two days, with Reid being selected for the full squad, and Aaron John being named as a reserve. We wish Reid and the GB universities team success in the Netherlands, where they will play representative university teams from other countries.